- Improved compatability on Unified Shader and Discrete Shader Video Cards including the Radeon 9200, GeForce3 Ti 500 and GeForce4 Ti 4400 series. 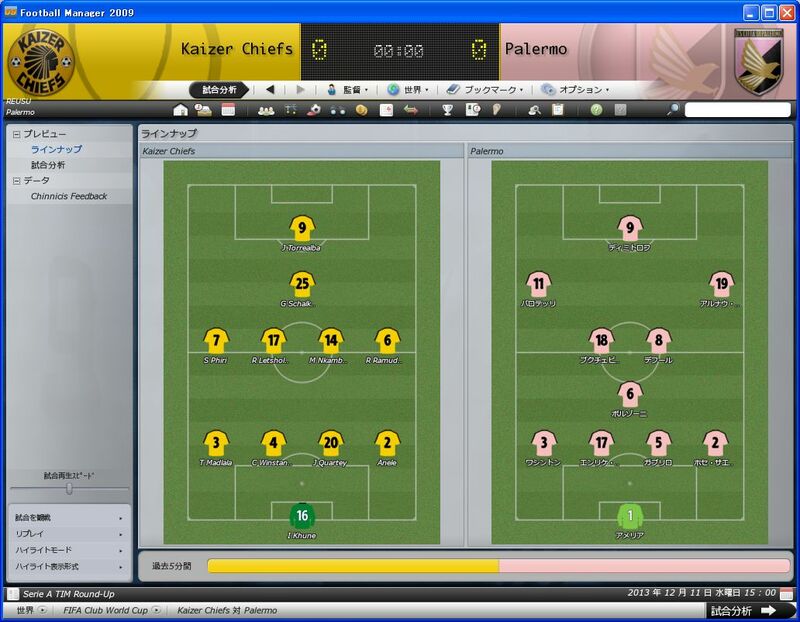 - Fixed an occassional crash if a human manager applies for another job when his current club has no chairman. - Fixed bug where the game didn't automatically unregister players from German B teams at the start of a new season. 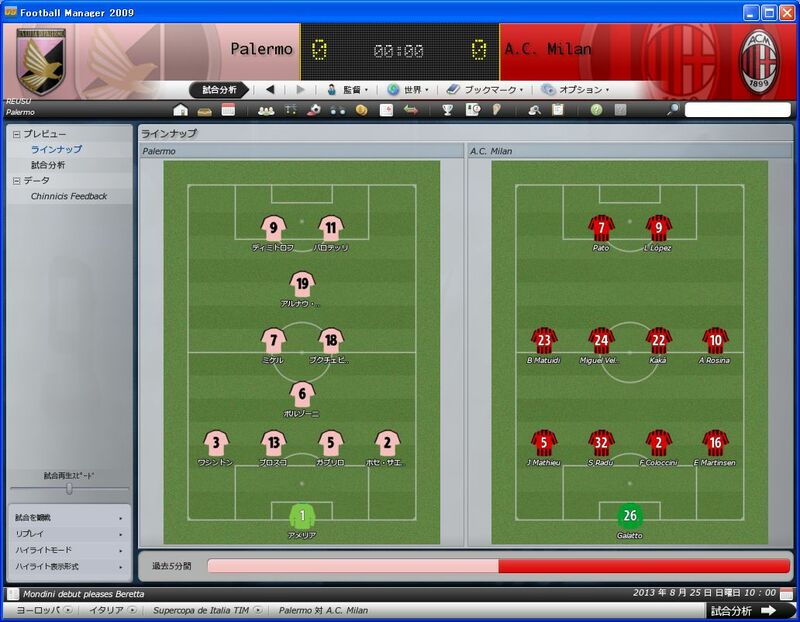 If the user didn't do it manually, these players would be restricted to 3 in the first team. 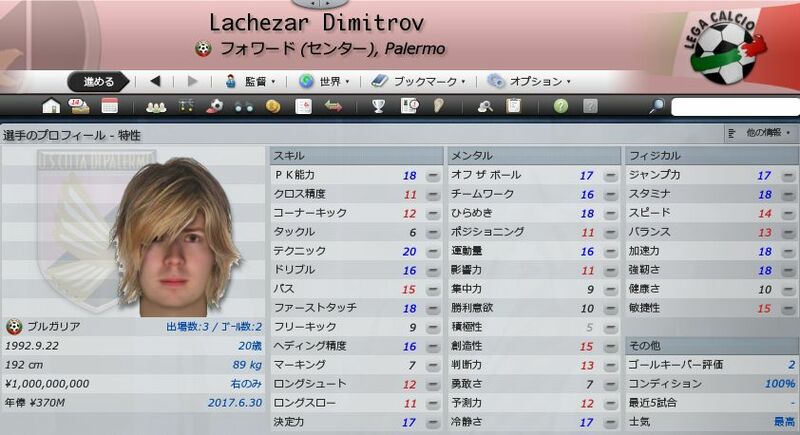 - Fixed bug where occassionally a player would not become "home-grown" at a club after being there for enough time. - When picking European squads for clubs which have have affiliated B clubs, the correct number of home-grown players is now displayed. 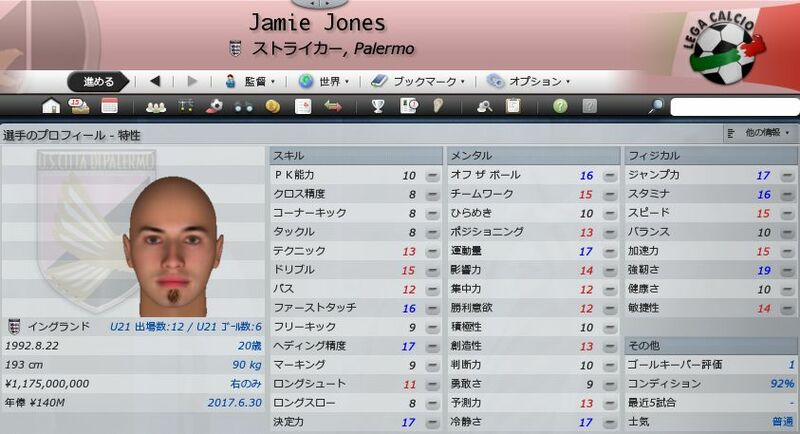 - Fixed bug where reserve teams playing in main leagues would not include players from the first team if they were made available for the reserve team. - Human managers now don't need to learn a language if it is the default language of their second nation. 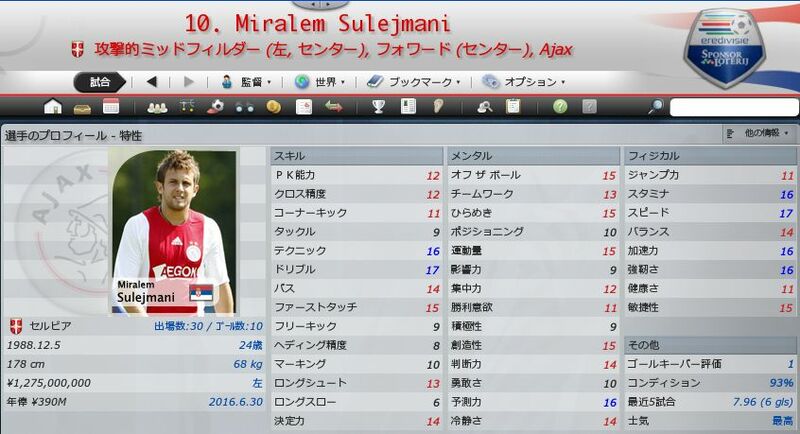 - Fixed bug where Darijo Srna didn't gain Ukrainian nationality at Shakhtar due to not speaking Russian or Ukrainian. 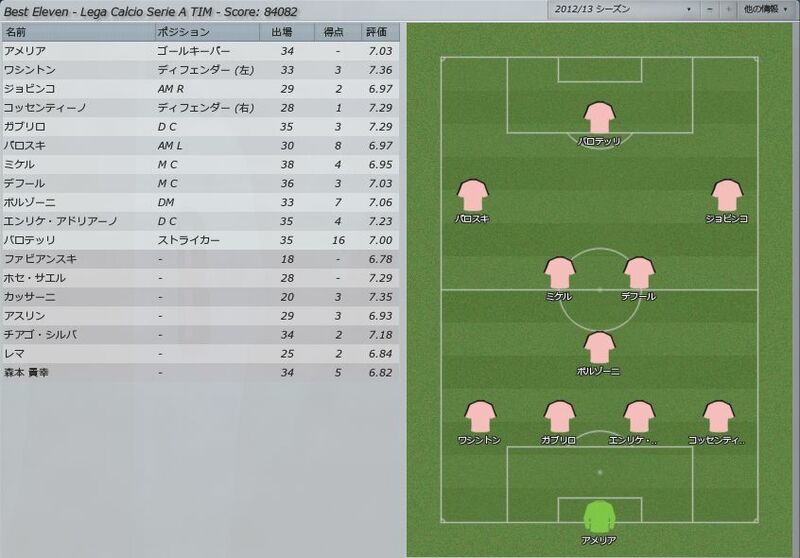 - Fixed bug where players from a club's first team might request transfers after the B team gets relegated. 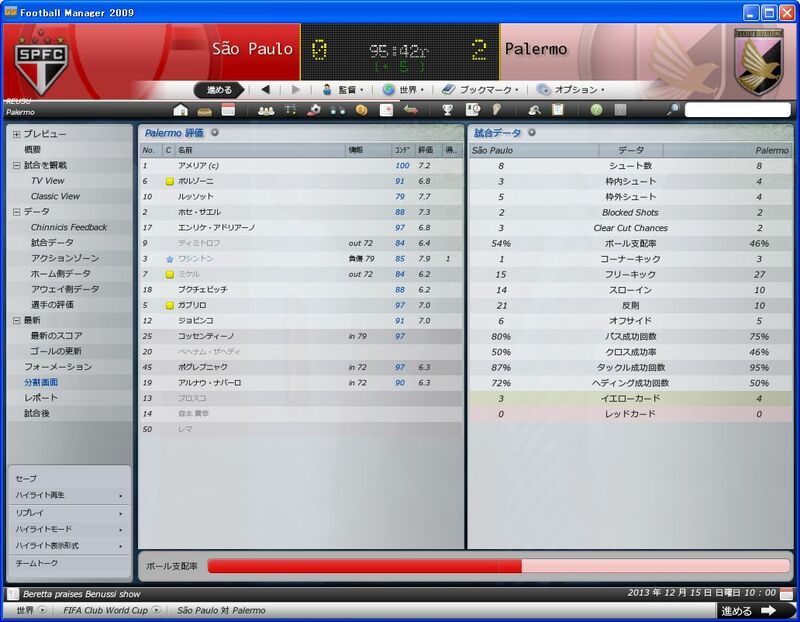 - Make some improvements to the referee strip selection code. - If a club's youth team has a tour arranged, the first team can now schedule friendlies for the same dates. - Fixed bug where a player was being reported as injured for '1 day' when his actual return date was longer. - Improved physio assessment of a player's likely return date, dependant upon physio's ability. - Fixed bug where player didn't see the benefit of taking Croation nationality, when it would help their club get around foreigner restrictions. - Stopped players gaining days toward a nationality simply by moving between A & B teams. - Improved statistics generated for non-active teams. - Stopped players taking up a nationality in-order to play for that nation when they have declared for a different nation already. 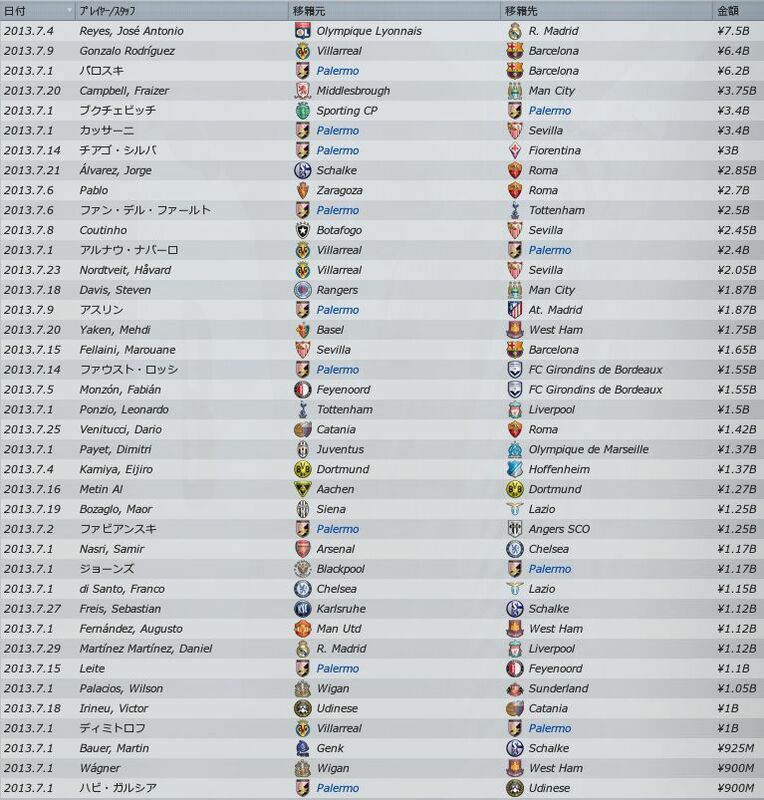 - Ensured record transfer fee matches up with the transfer fee shown in the player history. - Stopped young referees e.g. Stuart Attwell getting their date of birth randomised. - Stadiums without a pitch type entered in the database now default to grass pitches. - Players now start learning the language of future transfer teams as soon as the deal is signed. - Players unhappy at the sale of a star player now are no longer unhappy once a star player has been signed to replace them. - Unattached players can no longer have Short-term Plans of "Looking to see out the remainder of his playing days at the club". - Players no longer complain about not playing if they have only just come back from injury. 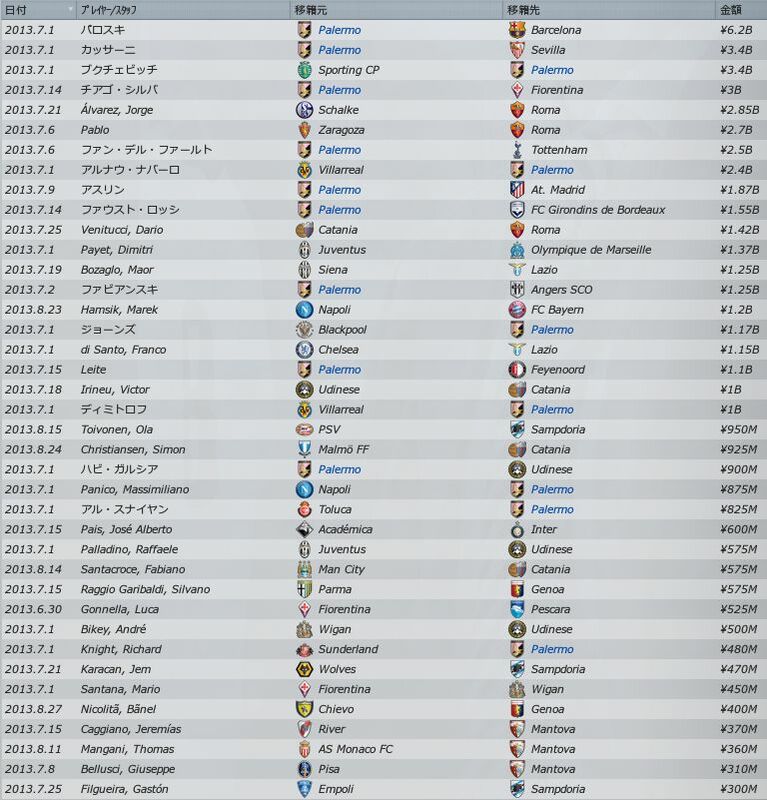 - Players no longer request to be transfer listed a few days after a transfer window has just closed. 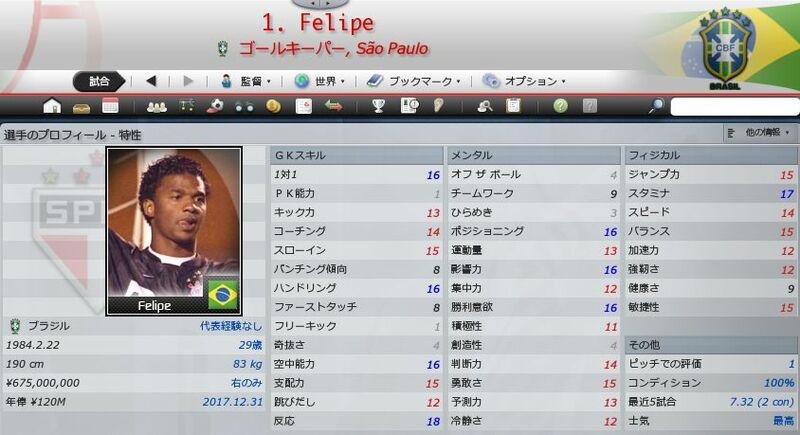 - Fixed continuing Save Game User's Shortlist and Scouting screens take a long time to access and players are no longer shown on there. 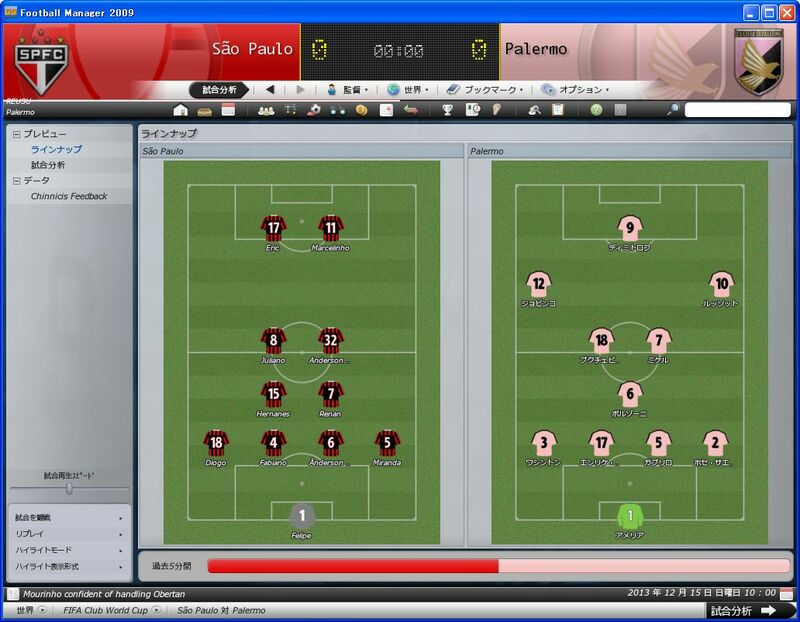 - Fixed giving a player an injection will put them out for the same amount of time as sending them to the Physio. - Fixed contract length being greyed out with a date of Jan 1900. - Teams now respect over age squad selection rules in lower division italian leagues. - Fixed game slowdown whilst processing January to March. - Stopped the board being refered to as the Football Association in the Confidence screen. - Improved memory usage for games running many leagues with full detail matches. 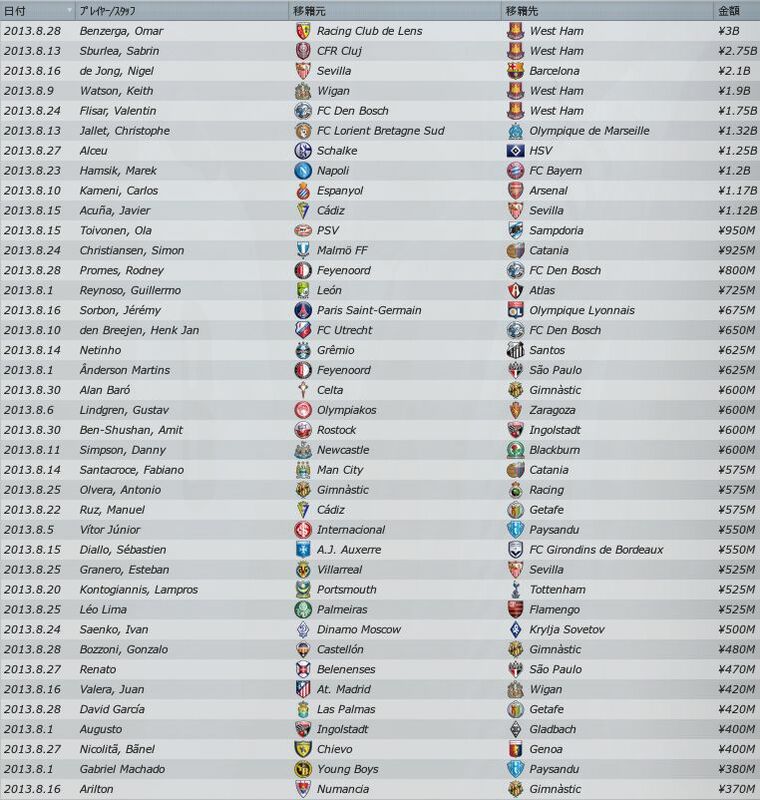 - Transfer records now display the same fee as shown in the players history screen. - Fixed a bug where a player fluent in a language of his current nation might not be able to gain nationality because he cannot speak the language. - Reduced the number of assists generated for players in non-active leagues. 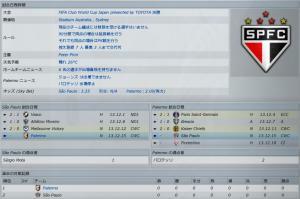 - Stopped an "Unknown Referee" being picked for the Korean All-Star cup and some Blue Square North/South matches. - Stopped a player sometimes losing some ability in a position after training has been completed and they are still being played in that position. - Improved pitch conditions deterioration rates. - Search results now sorted by name for ease of use. - Can now search media sources using search box. 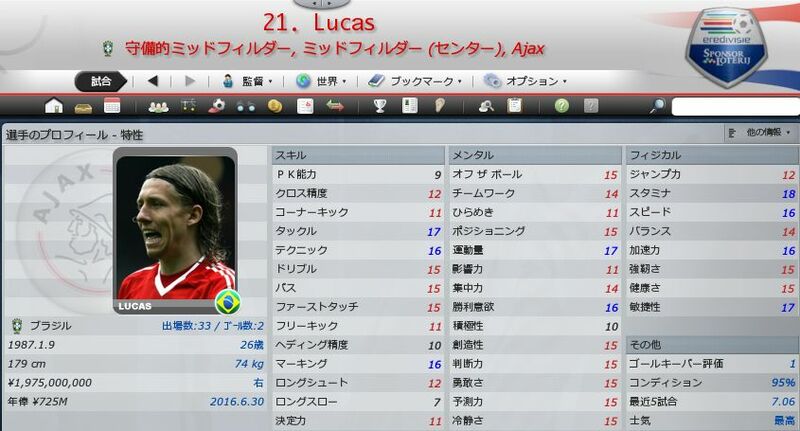 - Fixed bug where failed transfers would sometimes remain on the transfer centre screen. - Wages shown in transfer centre now use the correct format set in the preferences. 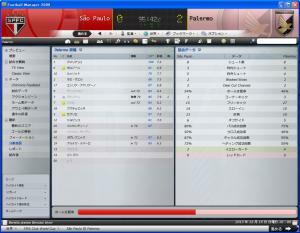 - Match screen overview panel now shows full details on matches played using the quick match engine. - Added 'Relationship With You' to AI manager's personal section so that you can see their relationship with you more easily (and without having to go to the interaction screen). 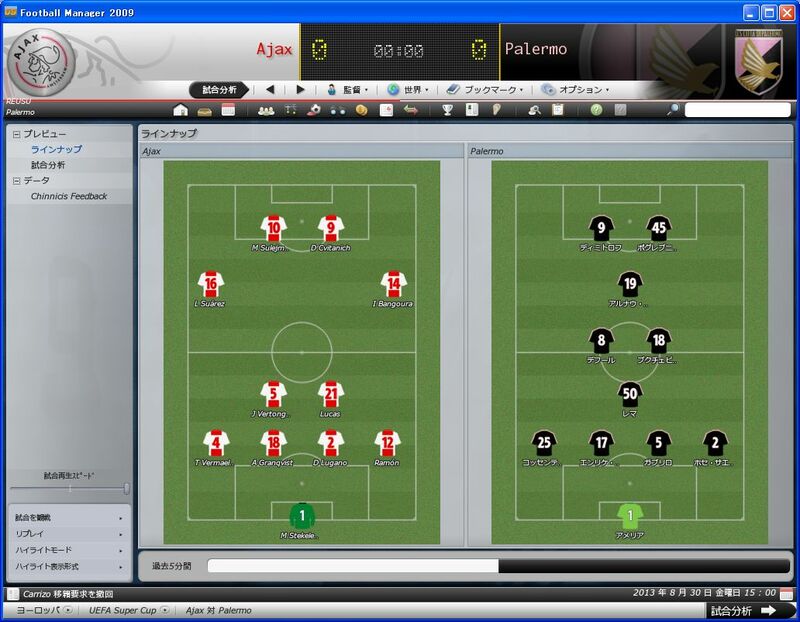 - Fixed a bug in match classic view where player names would sometimes be left on the pitch. - Added 'Record Transfers' to View menu in Transfers section. 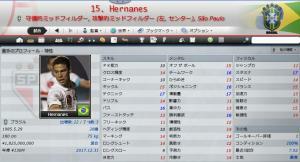 Can now see Top 25 transfers, viewable by world, nation or competition. 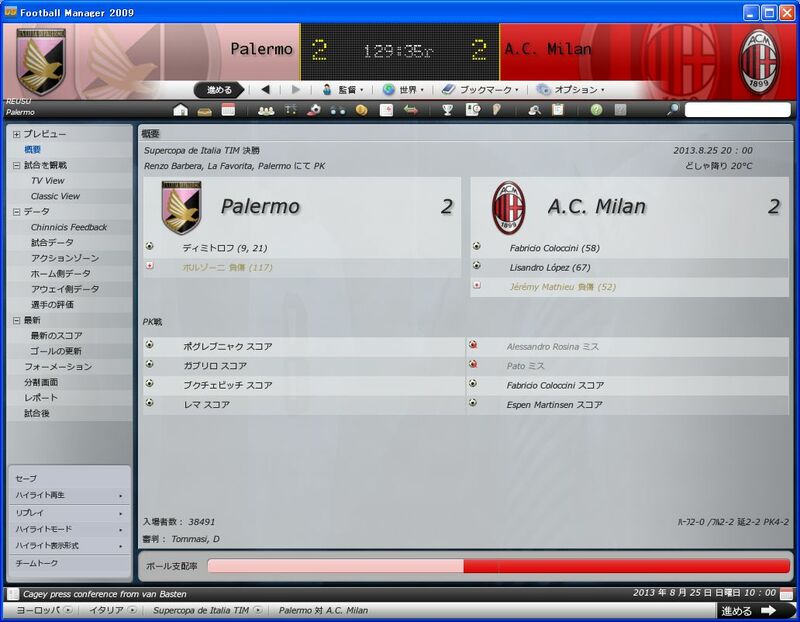 - Fixed a situation where a yellow card would not appear on the match time slider. - Manager resignations now appears in their achievements page. 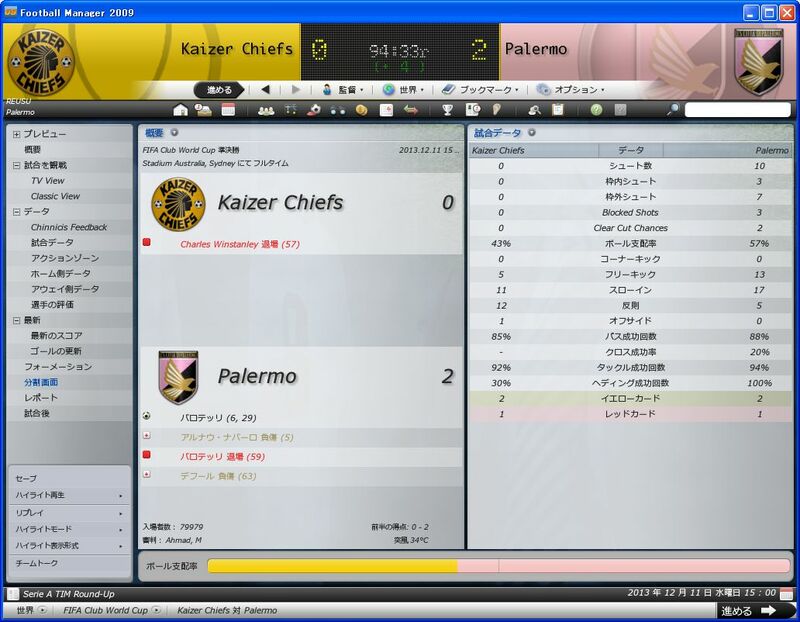 - Fixed processing info occasionally incorrectly showing a goal as having been scored in e.g. (58 + 1). - Fixed a bug which allowed you to discipline a player for unprofessional behaviour for no reason. - Stopped draggable player names on the award voting screen if the human could not vote in that award. - Fixed a bug on the award voting screen where it could confuse who you voted for if you swap candidates positions. - Fixed a bug where a 'PR' icon would show for a player but there would be no reaction shown in his profile. 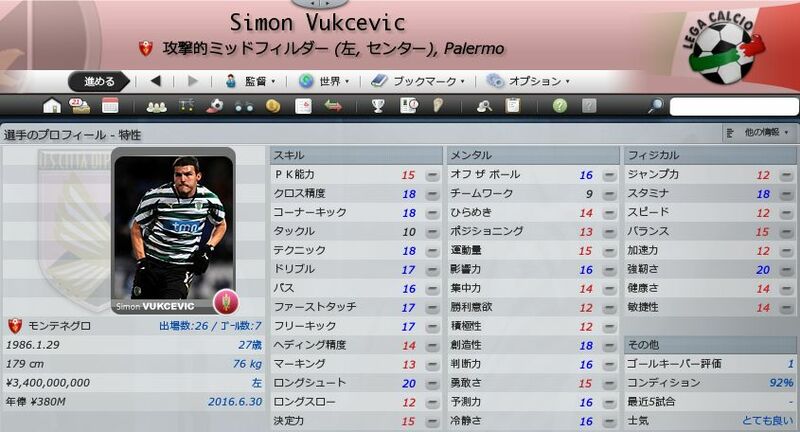 - Fixed code in a string on the player profile about the captain being changed too soon. - Added a "Clear All" button to the team talk screen. 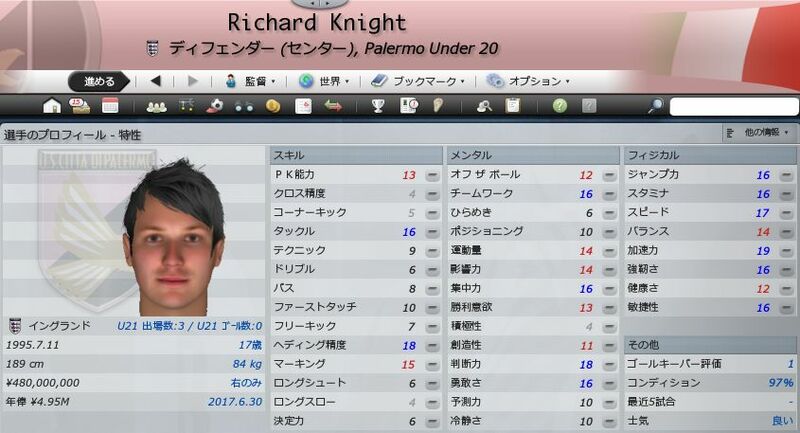 - Fixed contract type issues with some young players. - Lowered amount of players on month to month contracts. - Stopped Players demanding an inferior squad status. - Fixed staff leaving club without any news items and whilst they were under contract. - Fixed news item describing player as 'Looks Set To Have A Bright Future At Club' when he is transfer-listed. - Added 'View Assignments' button to scout match report news items so you can more easily view or change that scout's assignments. - Fixed non-player bio message says newly appointed coach began his career with a spell as coach from January 1900. - Fixed national player/coach sacking being reported as being released by their club. 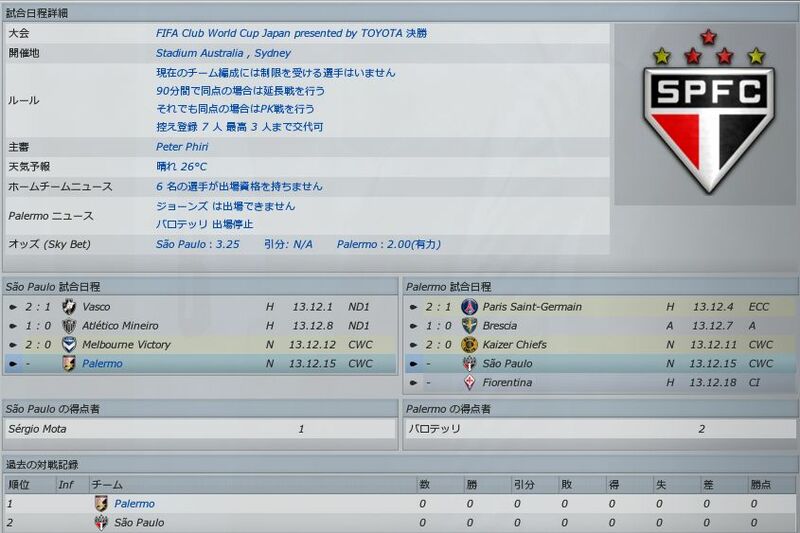 - Host announcement news items no longer state the wrong year for the Champions and EURO Cups. - Teams no longer listed incorrectly in loan transfer limit exceeded news item. - Managers at A-League clubs can no longer declare interest in other A-League clubs players until the 2010 season. - Improved text layout for 'Where Are They Now' news to make it easier to read. - Fixed extra line gap in the boards feeder ckub response news item. - Addressed issue of club-specific media sources reporting on other clubs in the same division. - Fixed foreign bookmakers offering odds for nations they don't cover. - Fixed a missing ending to a sentance in the scout next opposition news under rare circumstance. - Stopped a sentance saying you have a contract until 1900 when taking over at an amateur club. - Fixed bug where server couldn't kick/ban/force continue a "New Network Client"
- Fixed user being asked question about who will win title when title has already been won. - Stopped a follow-on question being generated to the "Entire Team" answer to "What is the strongest/weakest area of the team". - Press conference asks question about user's dropping of a player when he has been called up as a late replacement. 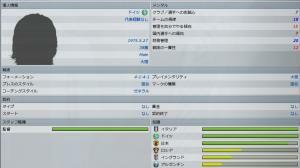 - Fixed a bug where as national team manager you could be asked about the need to spend to strengthen the squad. - Stopped journalists sometimes picking on your choice of player to counter a dangerman as incorrect when he is in fact a good choice. - Fixed bug where the headline "[User] knows spirit can't be maintained" would appear, which is the opposite of what you said. 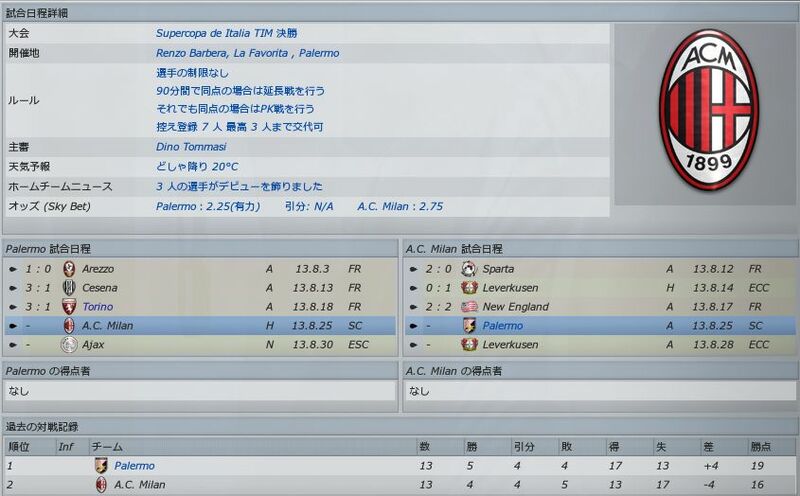 - Fixed a bug where you would get asked a question about poor form when you are recently unbeaten. - Stopped manager being asked a question about the need to buy players outside of transfer windows. - Bulgarian Cavalier of Fairplay award is now given out. - Danish national awards should favour player's playing in bigger leagues more. - Fixed a problem with the European Golden Boot whereby if the scores were level it would sort by most appearances instead of least. - Facilitated choosing international squad by adding more detailed stats to the Stats option in the National Pool 'View' menu. 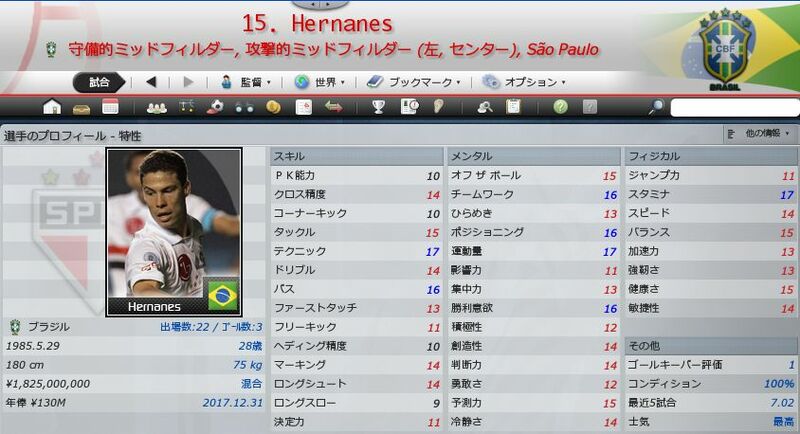 - Players with multiple nationalities now assume the nationality of the current national team they represent. Their nationality will become 'fixed' once they win a full cap at senior or u21 level. - Fixed rare instance of rejected call-up player retiring and being described as "left out" of international squad. - Fixed news item after submitting squad containing two separate strings regarding same player's possible first appearance. - Fixed issue where even a slight rift with a club manager would see them withdraw their players from your squad for friendlies. 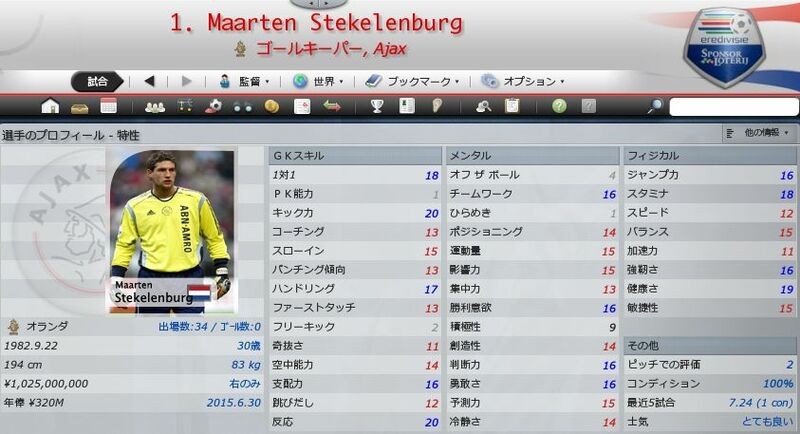 - AI National teams now leave some space in their squads for virtual goalkeepers if there are no real gks available. - Fixed player wrongly described as "excluded" from a national team squad when he was playing for one of the nation's other national teams. - Fixed bug which was stopping some players from announcing their international retirements following competitions / unsuccessful qualifying etc. - Fixed squad corruption issue caused by failure to hire manager properly which could occur if human was offered a national youth job e.g. U19s. 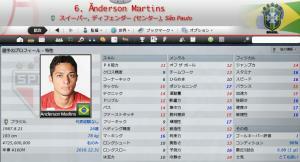 - Fixed user being unable to add some dual-nationality players to National Squad or National Pool. 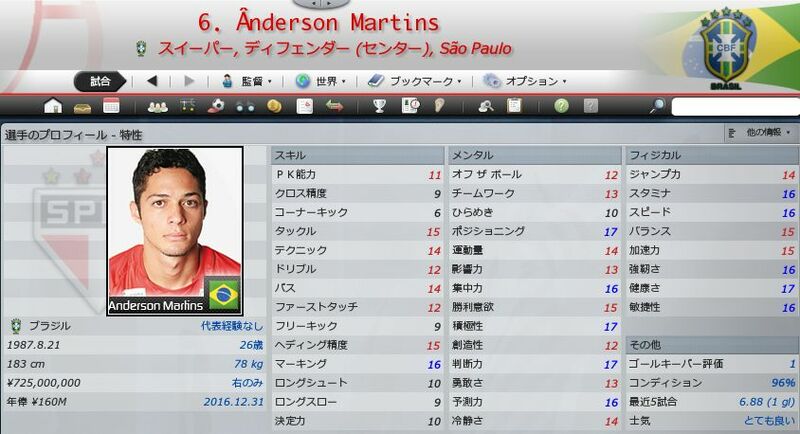 - Fixed rare issue where dual-nationality player would still mention which nation he would like to play for, even after he had won full caps for them. 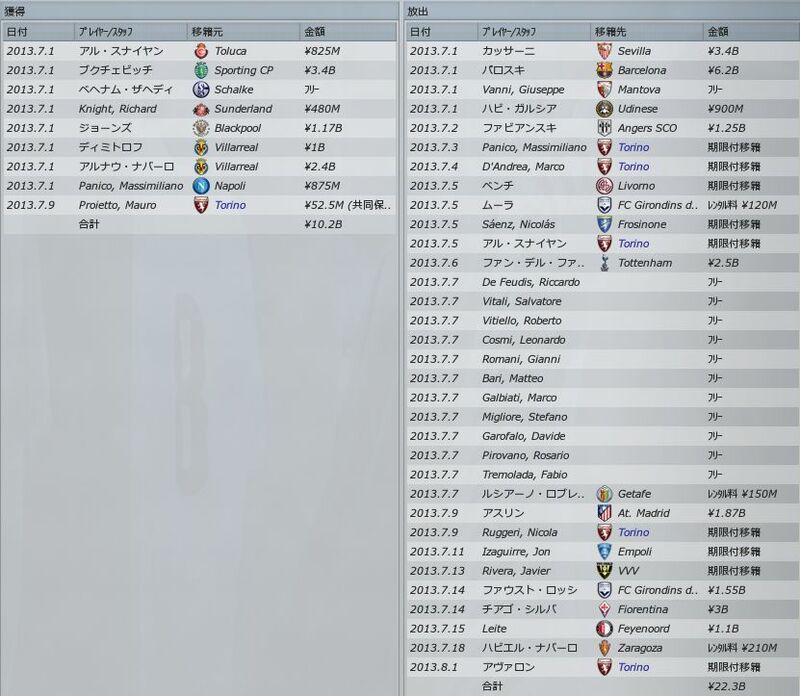 - Fixed national team captain/vice-captains set in the database not being used by the game. 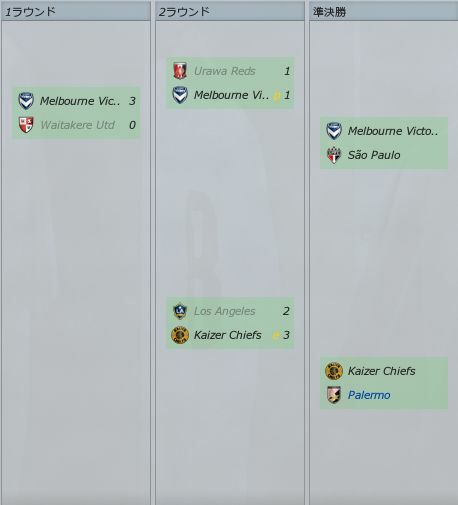 - Fixed national manager retiring just before major finals. - Fixed bug where tycoon chairmen could sometimes come from an extinct nation. - Ensured B-teams don't get given a chairman when promoted to an active league. - Fixed tycoon takeover collapsing due to a disagreement of the club's valuation when the club's worth is fairly insignificant. - Offers made for other managers are now cancelled when a human adds themselves as manager of a team. - Loan bids now get processed quicker on a transfer deadline day. - Loan transfer windows now only apply to domestic loans. - Extended the January transfer window to 2nd Feb 2009 for some nations as 31st Jan 2009 is on a Saturday. - Players on domestic loans don't get their appearances counted towards the number of clubs allowed to play for in a year. - Cannot offer contract to player dialog box now contains a valid reason when bidding on American Developmental League players. - Transfer rejection option "offer isn't good enough" is no longer available for selection when rejecting an enquiry. - Stopped B/C team managers transfer-listing players owned by the human A team manager. - Players who aren't likely to make it at top clubs are now more interested in moving to good Championship clubs. - More managers now being sacked/moving. - More free agents signed in the transfer window. - Stopped Young, non-eu players who are recent signings being transfer listed at game start in Spain. - Made it easier to loan out players. - Stopped AI negotiating to fee much less than amount offered. - Made it harder to sign top regen talent due to contract expiry and lack of interest from other clubs. - Stopped players from stating they are not willing to leave due to recent arrival - When in fact he signed 3 years ago. - Stopped low Co-Ownership bids from being accepted incorrectly in Italy. - Toned down the amount of money man city are prepared to spend on non world class players. - Loan rejected with rejecting club wanting a ￡0 Fee. 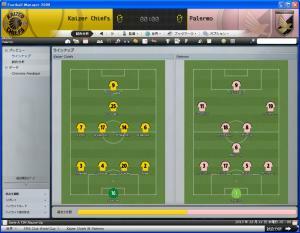 - Fixed After selling a player who had been out on loan, the User is still getting Match Reports on him. - Fixed team rejecting original offer for a player but after enquiring they will accept less for him. - Ensured human managers face more competition from other clubs outside of the transfer window. - Toned down foreign managers being appointed in France. - Fixed Vacant manager job being shown on Job Security but not on Job Centre. - Fixed loan offers being rejected because 'the club are not looking to loan the player out at the present time' - when the player is loan listed. - After losing in promotion playoffs Board Confidence says "The board are pleased that the team won promotion from the Second Division this season"
- Mourinho sacked a week before the Champions League final. - Transfers arranged prior to managerial appointment no longer count towards new managers confidence feedback. - Euro U21 Championship Qualifying now takes place in 2007/08. 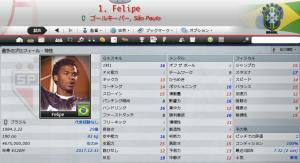 - Fixed Confederations Cup squad rules. - Updated calculation of European coefficients for new 2009 formats of the competitions. - Fixed bug where teams could not submit a full European squad in Febuary if they had selected a lesser number of players earlier in the season. - Fixed Libertadores prelim and group draws. 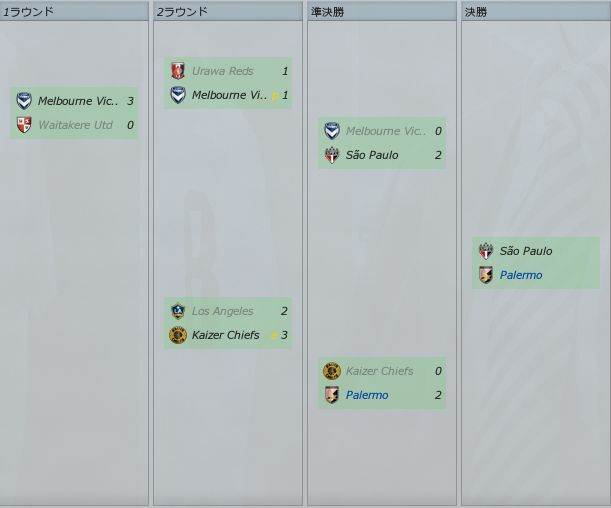 - Pre-season cup final is now over 1 leg instead of 2. 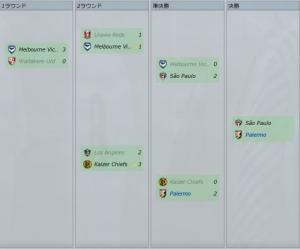 - Fixed bug where Australian youth league isn't played after the first season. - Fixed Brazilian league gate receipt percentages. - Fixed Cup of Bulgaria. 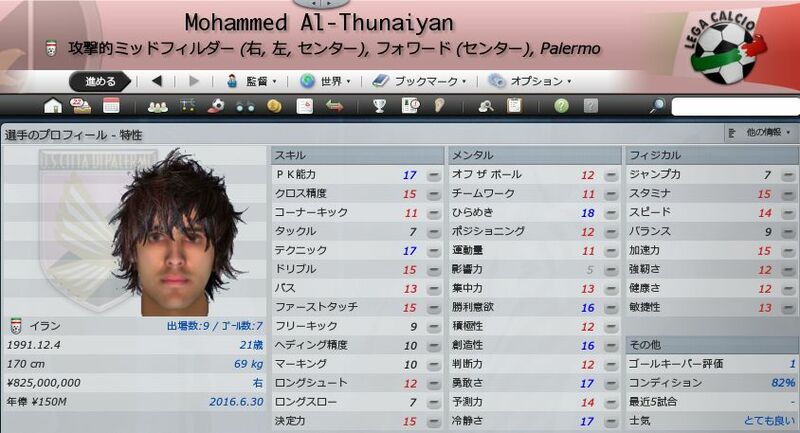 - Improved players transfer values. - Points system used for Danish disciplinary rules. 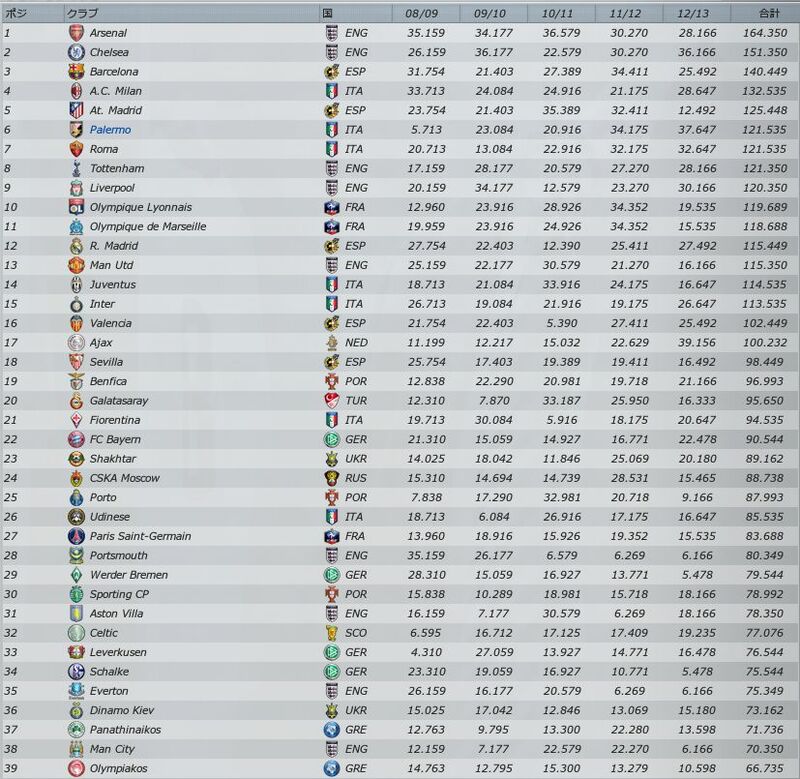 - Improved Danish players transfer values. - Fixed players not getting cup-tied in the English League Cup. - Fixed English League Cup semi-final away goals rule. - FA Cup regional draw fix now also applies to pre patch 2 saves. - Fixed Conference League Cup Semi-Final incorrectly being played as Wembley. - Fixed German Cup final not played in Berlin. - Players now go on holiday for longer between seasons. - Implemented new Indian Federation Cup structure. - Fixed wrong play-off format for First Division relegation/promotion play-off. - Fixed issue whereby a non-league side that wins the First Division relegation/promotion play-off wasn't getting promoted. - Fixed the U19 leagues that mirror the Premier and National league not reflecting increase in number of teams in Premier and National league as from 2009 season. - Updated Israeli Premier/National League Toto Cup schedules. - Improved Israeli player transfer values. - Pescara deducted a point. - Venezia new points deduction. 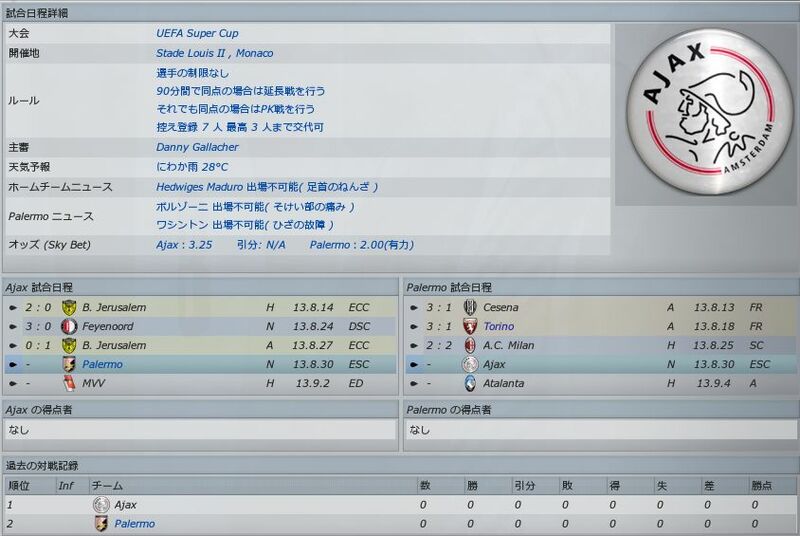 - Fixed Serie C cup prizes. 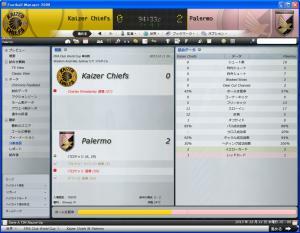 - Serie C Cup Semifinals Correct Scheduling. - Venezia will start C1/A with a -4 deduction point instead of the current -2. - Avellino points deduction changed to -2. - First 11 squad selection rules in Mexico apply only to the starting lineup and are not used during the match. - Mexican B clubs can now qualify for the playoffs even though they cannot be promoted. 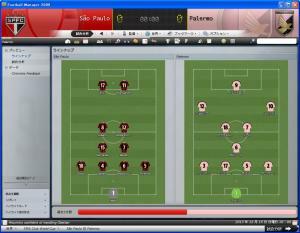 - Fixed a problem where Northern Irish Premier Division playoff would sometimes be created twice. - Northern Irish Premier Division now has a 38 game season. - Updated Norwegian Premier league scheduling for 2009. - Polish FA Cup round 1 and 2 draw fixed. 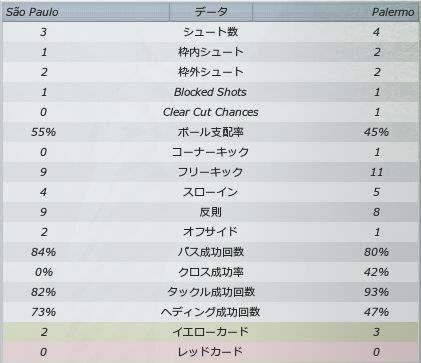 - Fixed a problem with players sometimes not being banned after getting a red card in league matches. - Fixed prize money Swedish Premier division. - Fixed problem in Turkey where if a foreign sub comes on for a previous foreign substitute, the game counted both players as being on the pitch when working out if the players on pitch broke the foreign player limit. - AI MLS teams are now more active in signing Designated Players from outside the MLS. - Teams Allocation funds are not re-calculated when a new manager is hired. - Allocation funds are not re-calculated for a human manager each season. 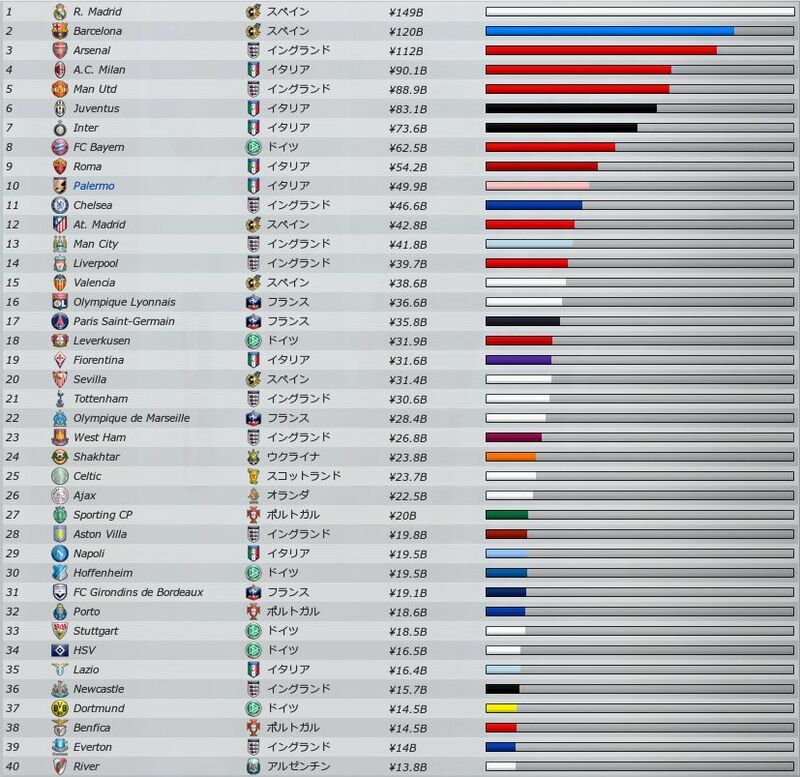 - Percentage of transfer revenue made available no longer displayed for MLS teams as it is irrelevent. 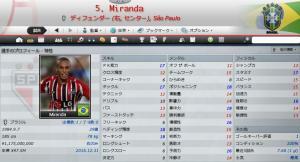 - Toronto FC's 5 American International slots are now correctly used in the game. - All MLS teams team roster information is now displayed e.g. number of international players registered. - AI teams no longer place zero value on player rights transfers. - Stopped AI teams offer Designated Player contracts to players when the wage cap applies if they haven't the space in the cap to pay them. - Fixed bug were Senior Developmental and Developmental players contracts weren't been re-newed if they hadn't been offered a contract after only a month was remaining on their current contract. 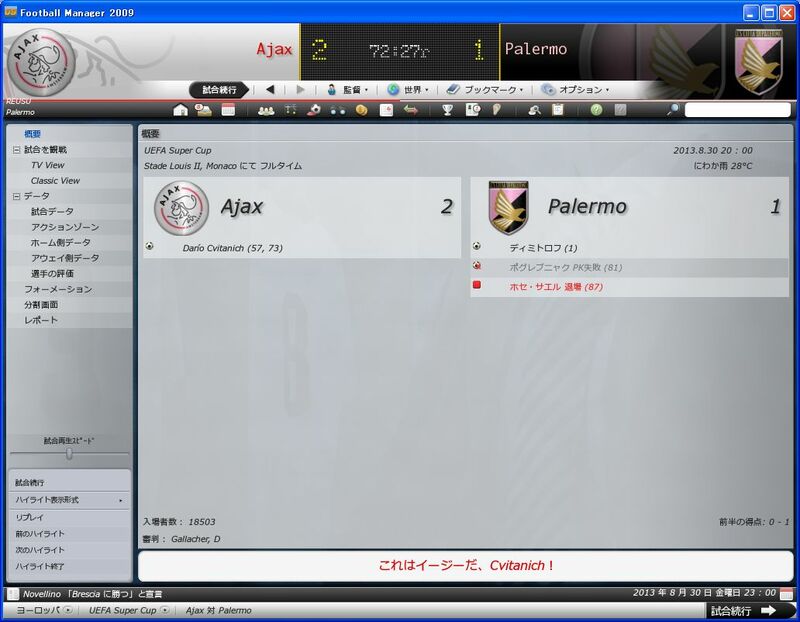 - starting draft allocation transfer are now loaded correctly at the start of a new game. - Injured players can no longer be waived. - Designated players with valid contracts can no longer be wavied. - MLS teams don't release top talents after signing replacements when under the MLS squad limits. - AI teams no longer ignore player rights when signing a player who has valid player rights with another MLS team. 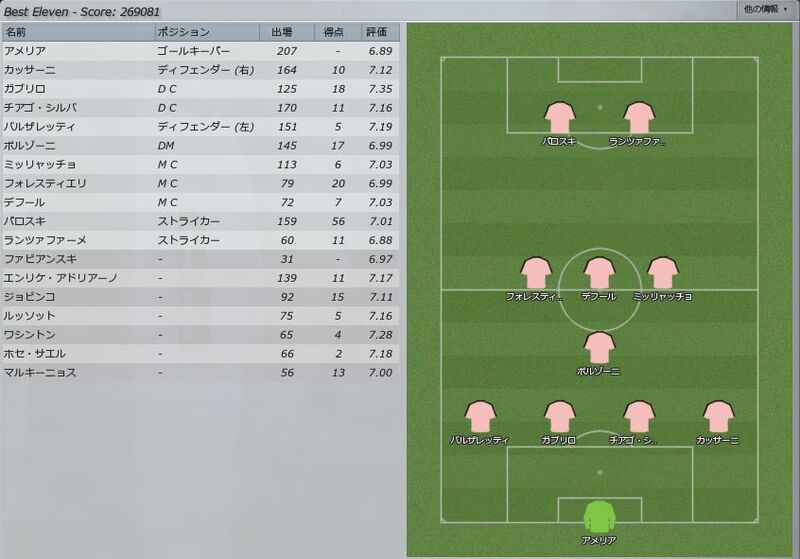 - Tweaked Reserve and Youth league mirroring of main two divisions and added no more than three over 23 players rule for reserve leagues. - Fixed occasional instance of "impossible save"
- Fixed player moving across free kick taker's line of vision in an effort to "find space"
- Stopped players being rated below the average ( around 6.8 ) when they have generally done "ok"
- Improved player positioning and decision making on "fight balls"
- Fixed bug stopping players from heading ball they had moved for.